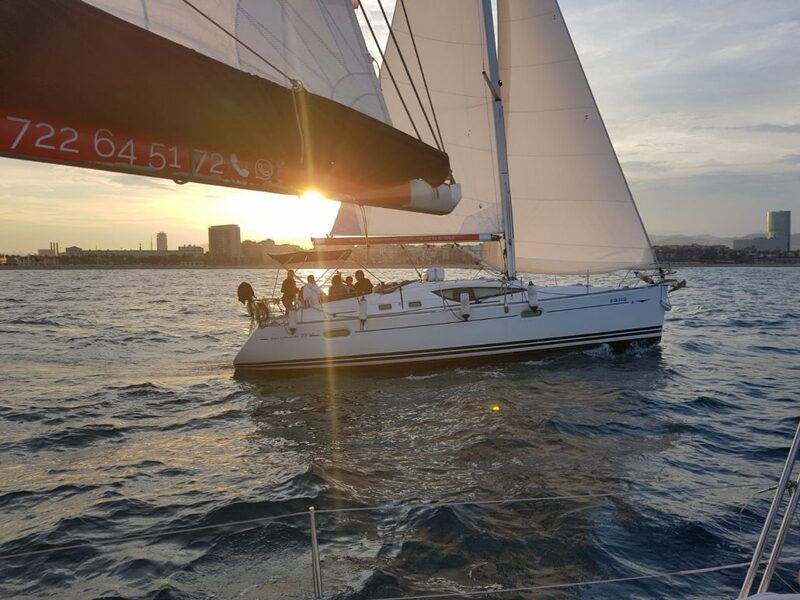 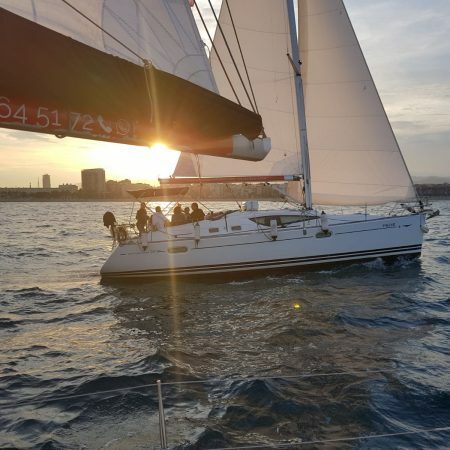 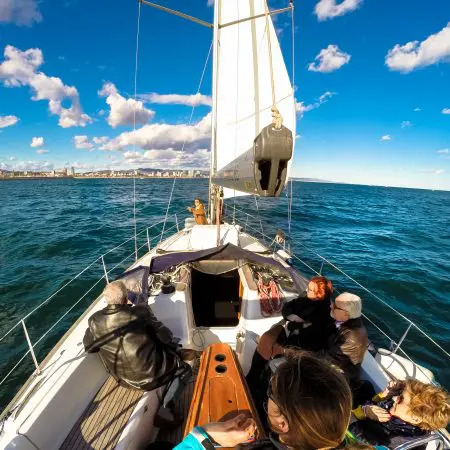 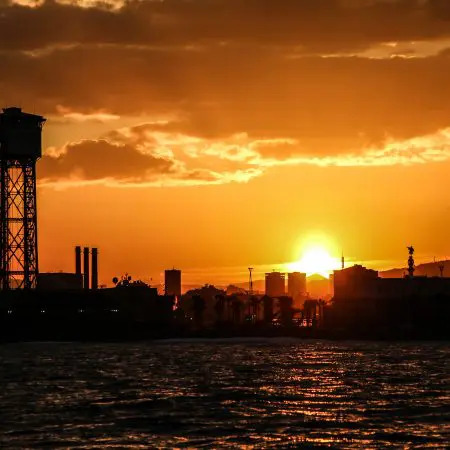 Enjoy the Best Point of View of Barcelona whilst the sun goes down, with this share boat rental 2 hours on a luxury sailing yacht with our professional Skipper. 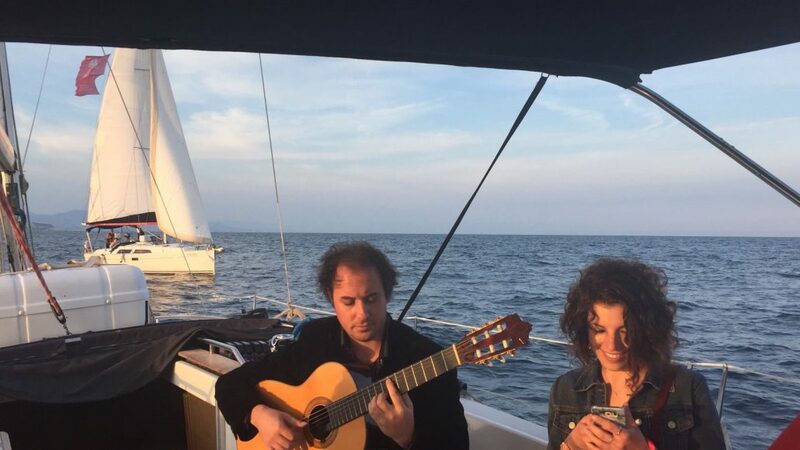 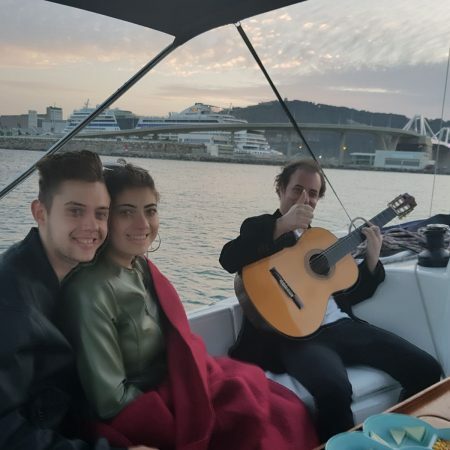 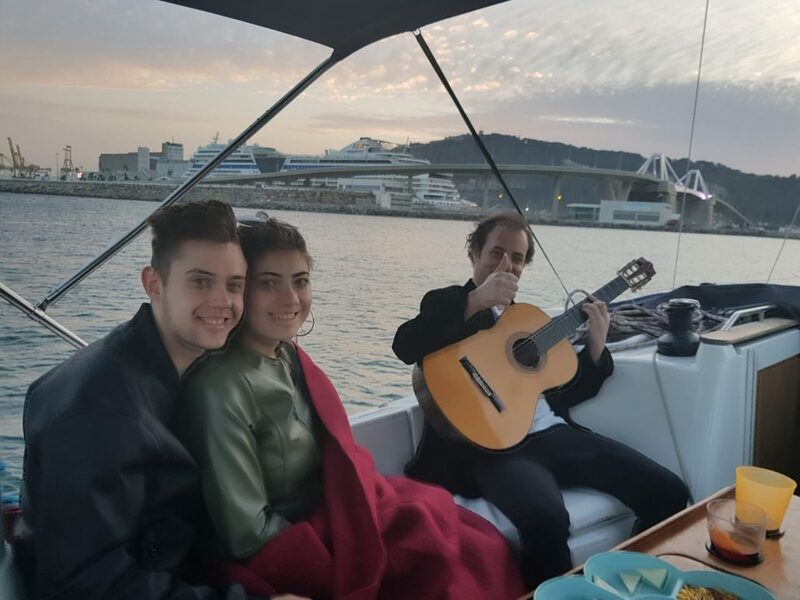 Spend the most romantic and unforgettable moment with a live Spanish Guitar Maestro on board with you playing live music. 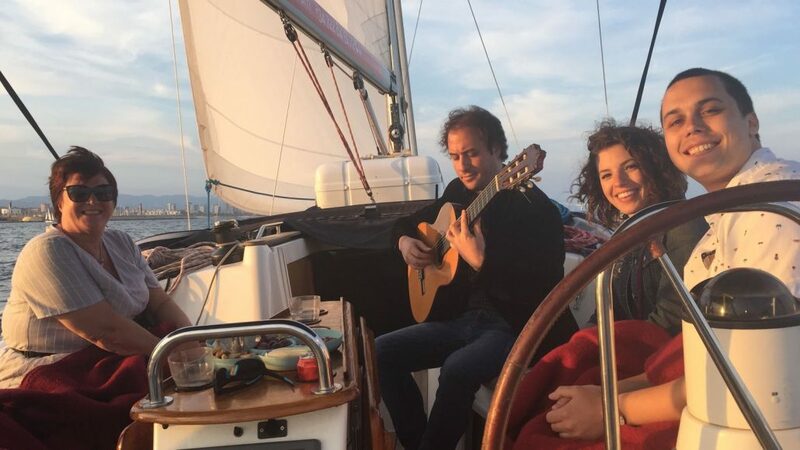 Feel a great moment of relaxation on the Mediterranean sea. 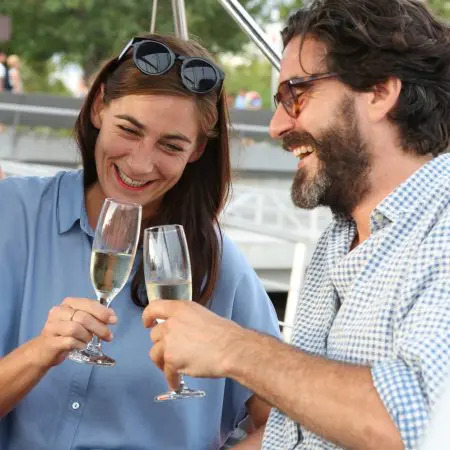 Leaving from exclusive Port Vell every evening, wine&cava, drinks, snacks and fresh fruit included. 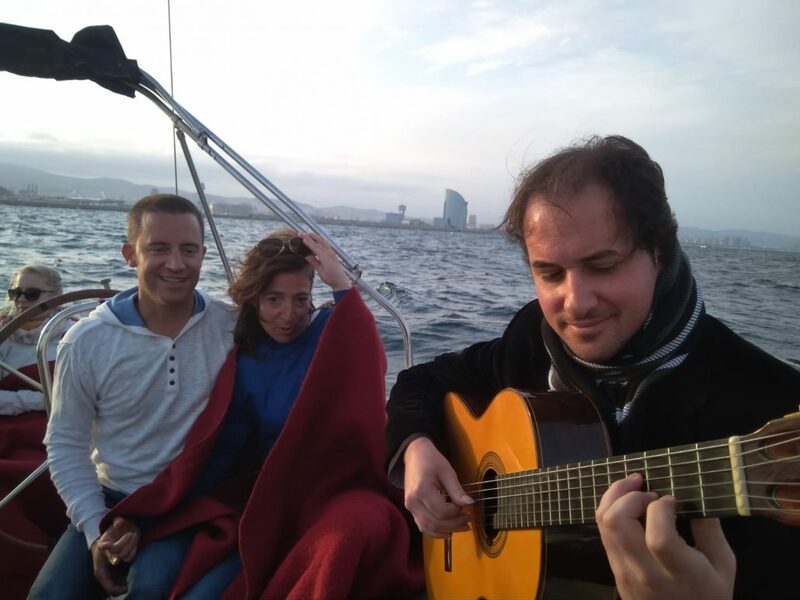 Enrich your experience with this Spanish guitar experience for a relaxing moment ! 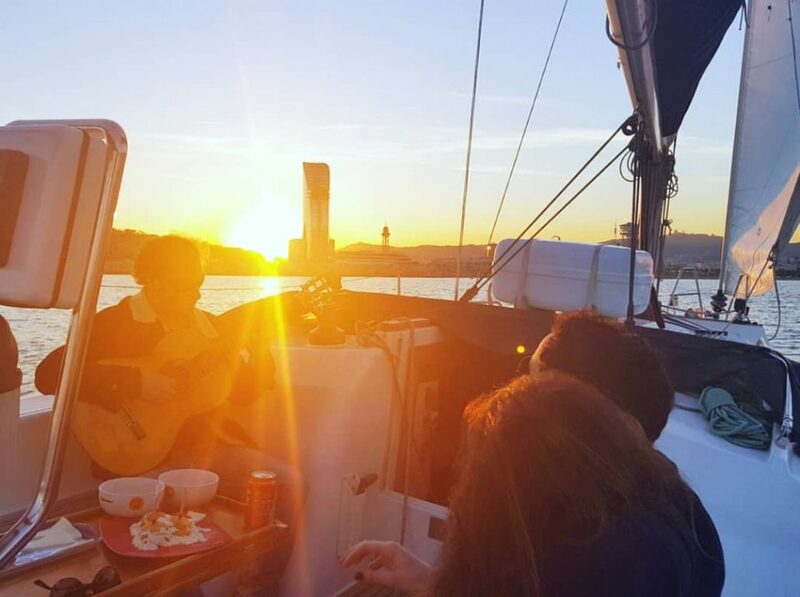 Sailing Experience Sunset hours depend on the month of the year. 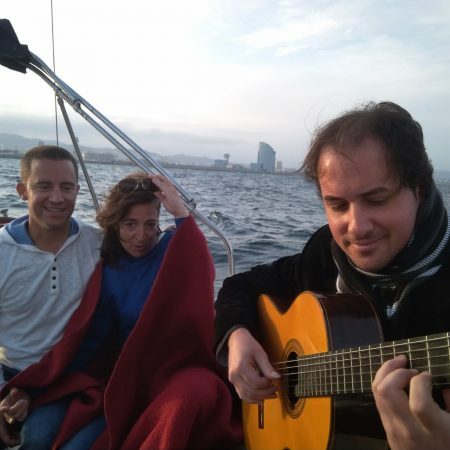 2 hours Price: 91euros per person, min 2 people. 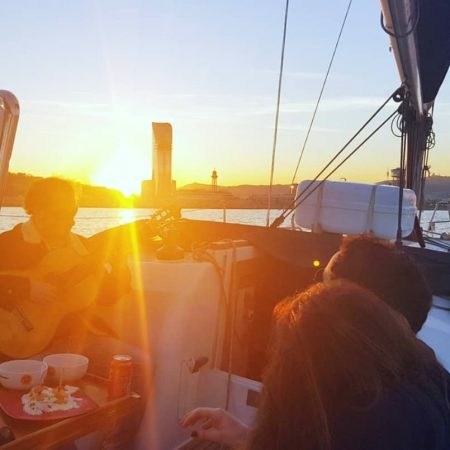 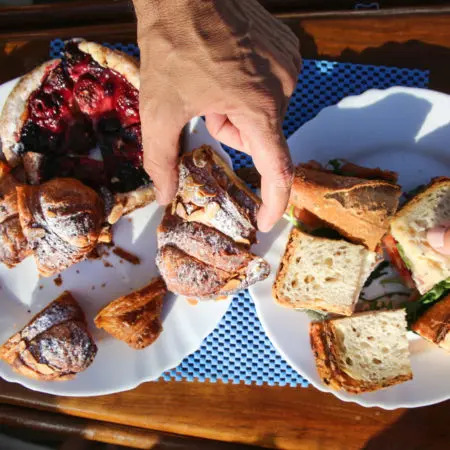 With snacks (olives, cheese, salami and crackers) and drinks (wine, cava, beer, sangria and soft drinks) included on the sailing yacht. 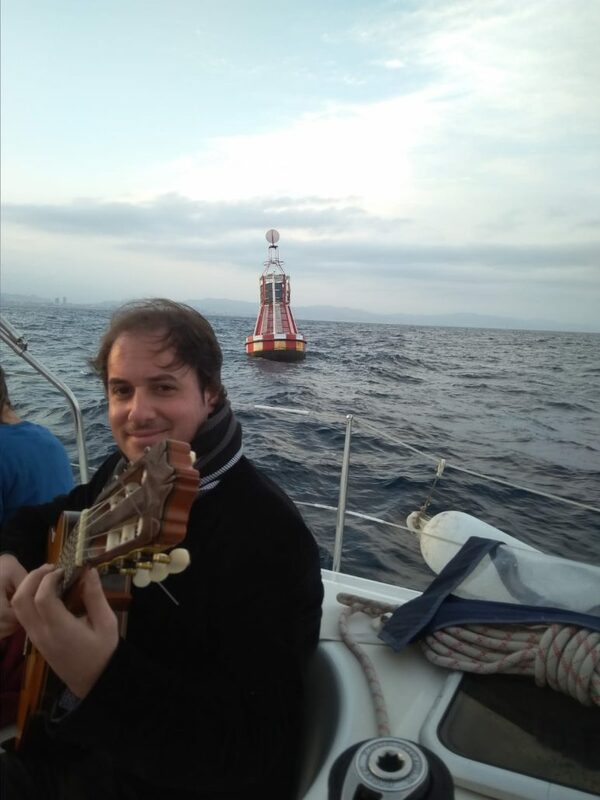 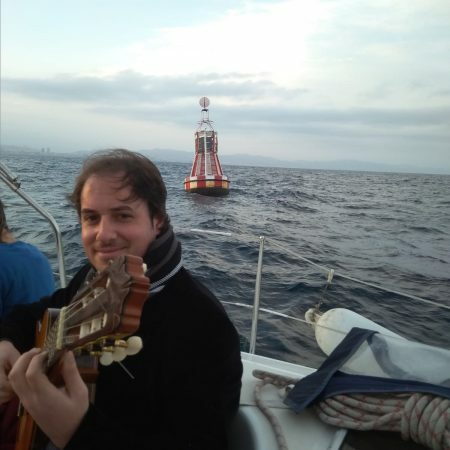 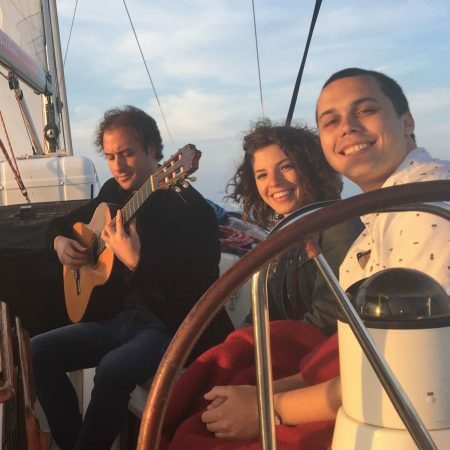 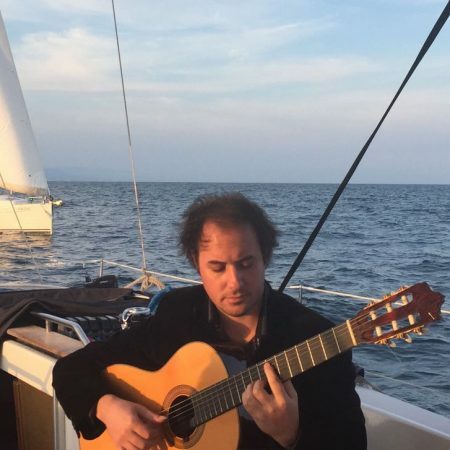 Don’t miss out, book now your Live Spanish Guitar and Sailing Experience and enjoy the authentic Mediterranean way of life!